Dashwallet is the first iPhone wallet for Dash - Digital Cash - a better innovative alternative to bitcoin. 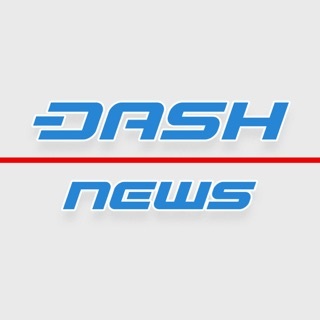 Dash is a crypto currency that seeks out fix the flaws that other crypto currencies suffer from. It relies on a network of Masternodes to allow such things as anonymity, instant transaction, and direct funding mechanism to kickstart innovative ideas. Intuitive and secure, dashwallet gives you complete control over your digital cash. Send and receive dash payments instantly, with the safest mobile wallet available. Dashwallet is the first and only iPhone wallet which connects directly to the dash network. This means that there are no servers to get hacked or go down - your funds are always safe. Even if your phone is lost, damaged or stolen, you can easily recover your funds using your personal recovery phrase. Dashwallet is open source and free. There are no extra transaction fees or costs. Send any amount of money to anyone in the world instantly. This is how money should be. An earlier version of Dashwallet was a close descendant of breadwallet, a Bitcoin wallet for iPhone. This version has since heavily diverged. We would still like to commend Aaron Voisine, co-author of BIP 32 and creator of breadwallet, for his pioneering work in the field. Version 2.3.5 has a rare crash fix and an improvement to wallet load times. The Dash nation is a great open community that is working to change the world. It is still early days so there will be bug that is life but with such a great team behind this app it is an honor to support it. This app so super wonderful. So easy to use and really done well. Bravo developer! Also, this shows why DASH is amazing because of our governance model. Because of the foundation. Syncing has improved since update! Thanks ! I was highly considering changing wallets but the improvement has convinced me to stay! There was a resyncing issue that was required one time after upgrading to 0.8.x from 0.7.x. However this is a one time event. Please contact support if this is not the case for you. If your problem is resolved also please consider updating your review.